A bathroom with suitable space allows for a cubicle will no longer require a shower curtain. A stylish panel door makes a statement and provides a clear focal point that will add a bright and clean space. 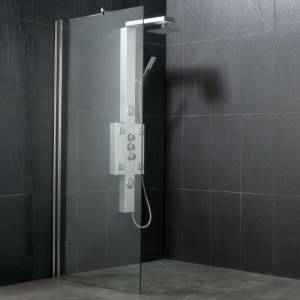 £160 for a Slding Shower door is good value, and this Simpsons Central 1100 Single Slider works very well within a three wall walk in sower area and provides an alternative to a pivot door. At less than £70, the Oltis Full Height Adjustable Wet Room Shower Screen provides a minimalist and contemporary solution. 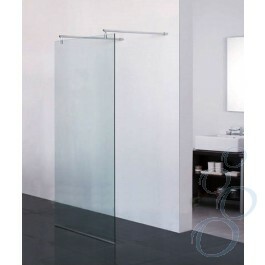 A Framed Pivot Door (this one is 700 x 1850 in size) usually has an aluminium frame, and fits within a three wall shower. A good walk in shower solution screen. A wet room screen will create a minimal and contemporary look in your shower room or wet room. A rod connects the top to the wall and the bottom fits flush with the floor.